Today’s offices are much more open and designed for ‘collaboration” than ever before, with studies emerging that say that an open office floor plan can help increase employee productivity, while reducing stress and improving energy efficiency at the same time. While these types of open-floorplan setups may make it easier for employees to communicate and collaborate, they bring with them a new set of challenges, one of them being increased noise levels. More people in an open space means more echoes and more noise to contend with. Many workspaces are doing away with cubicles and closed-door-offices to create more open spaces, and others are beginning to convert spaces that are already open, such as old factories and industrial workplaces, into new, modern office buildings. The results can often be increased noise levels and acoustic distraction. Employees may try to compensate for this increased noise by raising their voices when speaking to one another, which in turn raises the noise levels in the room even more. Add in the fact that many older, converted buildings tend to have high ceilings and lots of concrete and other hard surfaces that noise tends to bounce off, and you have a recipe for a noisy, communication-killing cave, instead of the open, efficient workplace you’re attempting to design. Thankfully, there are many ways that you can help deaden sounds while still preserving the open layout and floorplan you’re after. The key is in sound absorption, which can be added to the room through many different methods, preserving the look and style of the room, while optimizing the sound quality. 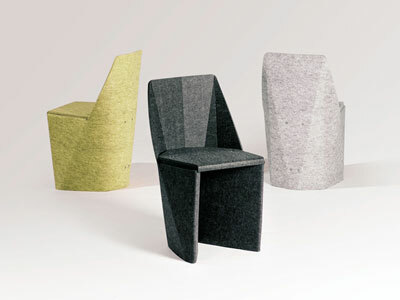 Sound is absorbed through softer materials, while it bounces off harder surfaces. 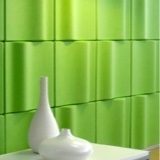 So, to help absorb sound, consider using acoustical panels on walls, ceilings, and partitions between spaces. 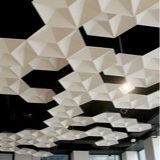 While you may think of acoustical panels as old fashioned ceiling tiles, new acoustical panels give you a lot of options for designing modern workspaces with custom looks that inspire creativity and collaboration. Decorative panels can be used to build and cover existing furniture in your space like bookcases, the sides of desks and worktables, as well as the walls and ceilings of the room. Panels like the EchoPanel from Kirei, come in a wide range of colors and patterns, perfect for custom branding. Use them to create privacy screens around conference or meeting areas, or to absorb sound surrounding desk areas. 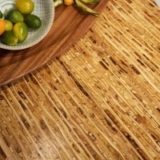 Because these acoustically absorbent panels come in several thicknesses, colors and decorative prints, they can be used anywhere you need to control the sound without sacrificing form, style or space. If the layout of the open office plan you’re considering doesn’t have much in the way of surface space to install panels on, and the room has high ceilings, acoustic “baffles” or “clouds” can be a big help in controlling sound. Baffles extend downward from the ceiling, and can be combined with light fixtures or turned into decorative sculptures overhead to help absorb and control sound throughout the room without the addition of walls or panels. Baffles can be sleek, suspended panels like the EchoSky, perfect for large spaces where you need to cover a lot of area without a lot of detail, or they can become part of the design of the room, such as EchoStar, which is a cloud that enhances the acoustics in targeted areas across the room, while adding to the style and substance of the space. Baffles and clouds can be combined with other systems to help give you the level of sound control necessary for the space you are designing. 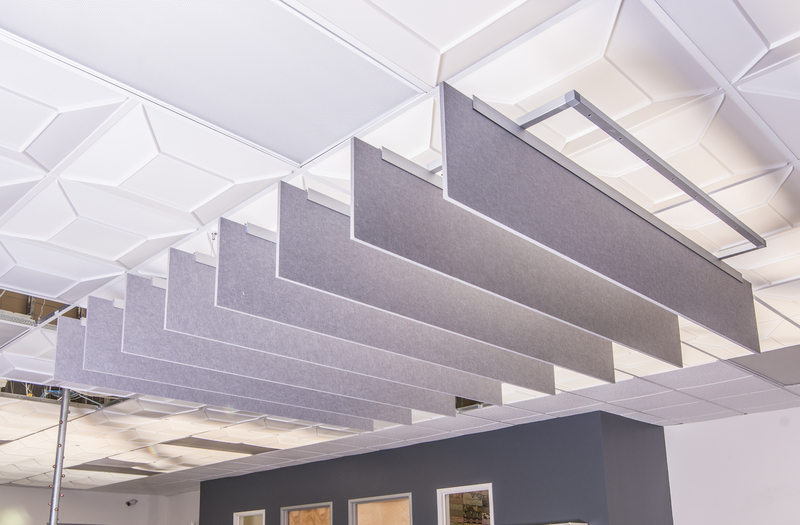 Most people associate acoustic panels with solid, dense partitions that close off the open office, defeating the purpose of your design. 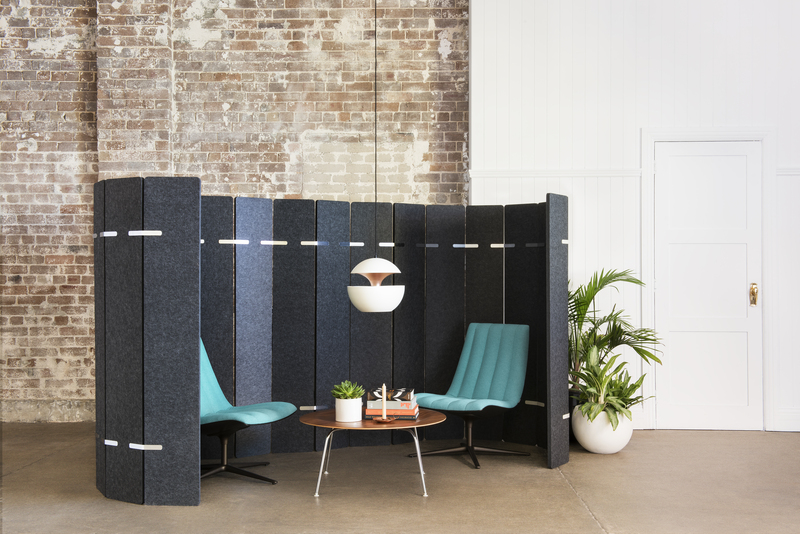 That’s what makes acoustic screens so attractive: an open design screen can help deaden sound and offer some semblance of privacy, but at the same time can help preserve the open feeling of the space. Screens are also decorative, and can become part of the style of the room, blending form and function together at once. Need small areas of sound control, such as in an employee lounge area or meeting space? 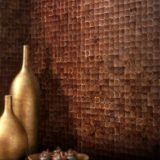 Consider adding some acoustic tiles to the walls just behind the seating or conversation areas. 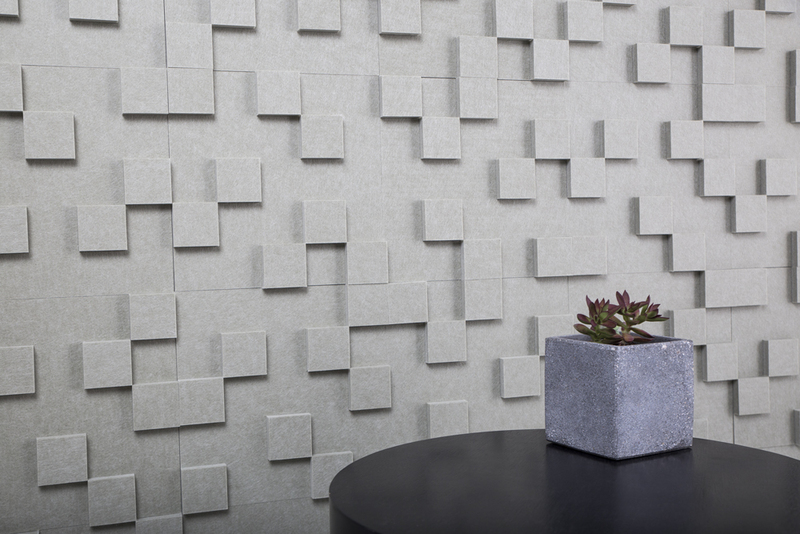 Acoustic tiles come in a range of different geometric designs and colors. Create a unique, stylish wall with a customized amount of sound control right where you need it. Stay on brand with colors or custom shapes that reflect the company’s message and logo, or create a playful mixture of pattern play on the walls. Tiles will give you the sound absorption of panels, with infinitely more customization. One of the biggest benefits that an open office concept brings is the ability for employees, office workers, and guests to move around, working wherever meets their needs at any given time. Because many open floor plans don’t have fixed workstations, it can be difficult to anticipate employee needs for sound control. And while it is certainly possible to cover every inch of the office with acoustical paneling and baffles, sometimes this isn’t necessary or desirable. For situations such as this, modular acoustical screens are the ideal solution. 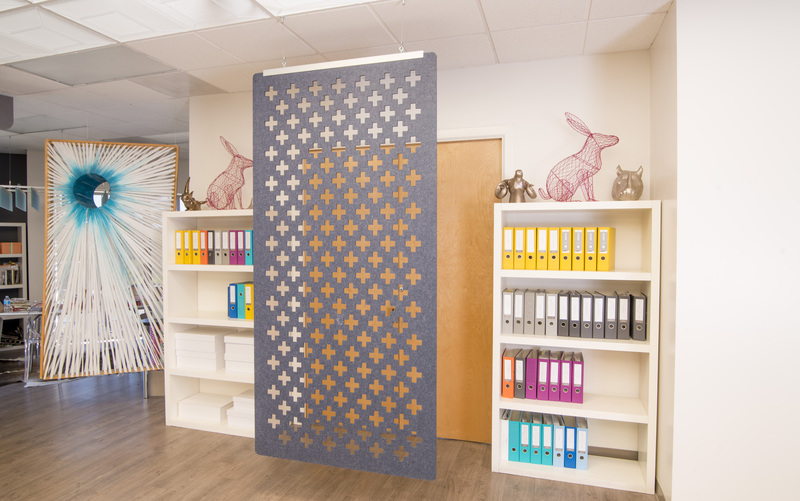 A modular screen can be set up in seconds around a conversation area, conference table, or anywhere that employees may need to get some instant privacy and sound control. The panels can be left in place or taken down again easily as well, and can stack discreetly out of sight when not in use. Now the room can be as open and fluid in design as you choose it to be, while still retaining a high amount of function and flexibility in use for the employees who need it. In the ultimate open concept office, there will be nothing impeding employees from moving about the space and setting up their workstations wherever they choose. This type of setup can make dealing with acoustical needs more challenging than some others, but not impossible. With acoustical furniture, or furnishings that are made of acoustical materials and paneling, the sound absorption you need is right where you need it, with no interruption of flow through the office design. Chairs, desks, bookcases, shelving, carts, and other furnishings can all be built out of or modified to contain acoustical materials. No matter how office workers ultimately group their furnishings or where they choose to work that day, the acoustics will be perfect and accommodating for their use. This type of setup is particularly ideal for rooms with hard concrete flooring and walls, and for spaces that want to keep their industrial style and vibe without adding to the walls or ceilings. 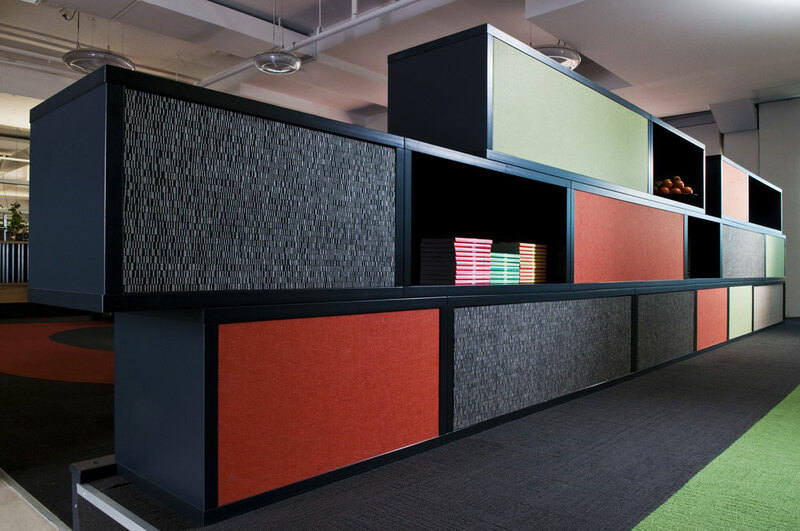 And for offices that will include things like partitions or cubicles inside the layout, acoustical furnishings can be combined with acoustically-wrapped panels for the cubicle walls for the ultimate in sound control and design. As office designs continue to change, so do their needs, forcing designers and architects to adapt with them. Sound control is becoming an increasingly major part of office design; don’t leave it out of the offices you’re working on, expecting it to be added in later. Design the acoustics right into the layout of the room. Look for currently un- or underused areas to incorporate sound control, that will also enhance the design of the room. From ceiling baffles to sound absorbing furniture, it’s possible to get good acoustic control throughout any type of floor plan, while staying true to your vision. Look for acoustical solutions at every level and start designing smarter workspaces for all.